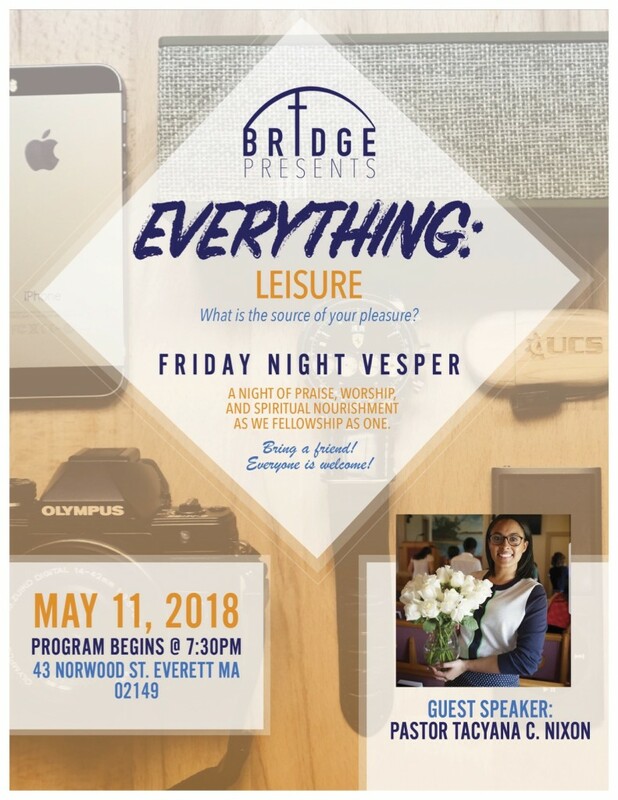 Make new friends and learn more about God at Bridge’s Friday Night Vespers at 7:30p. 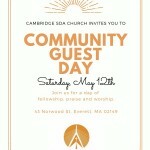 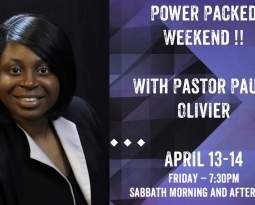 We look forward to seeing you there at Cambridge SDA Church in Everett, Ma. 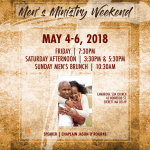 Learn more at bridgeministrysda.com.